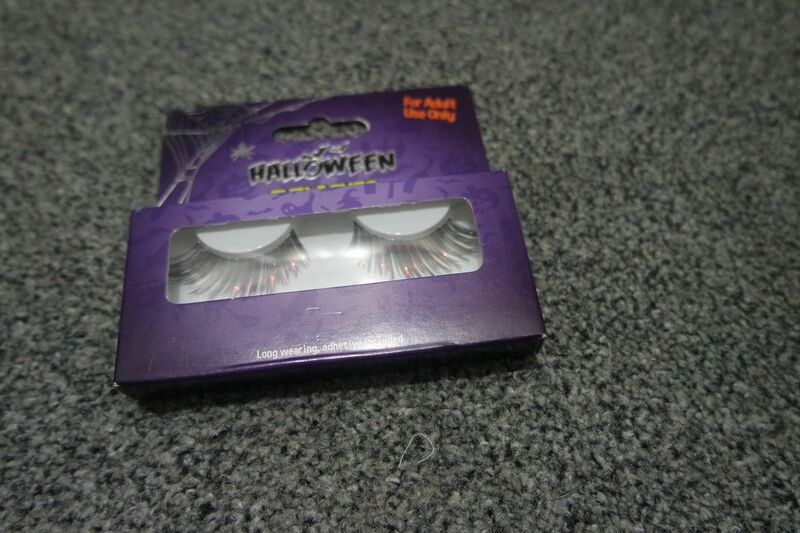 Halloween eyelashes – these are great if you are wearing fancy dress or even if you want to dress regularly and just go for a more dramatic eye make up or complete face make up look. 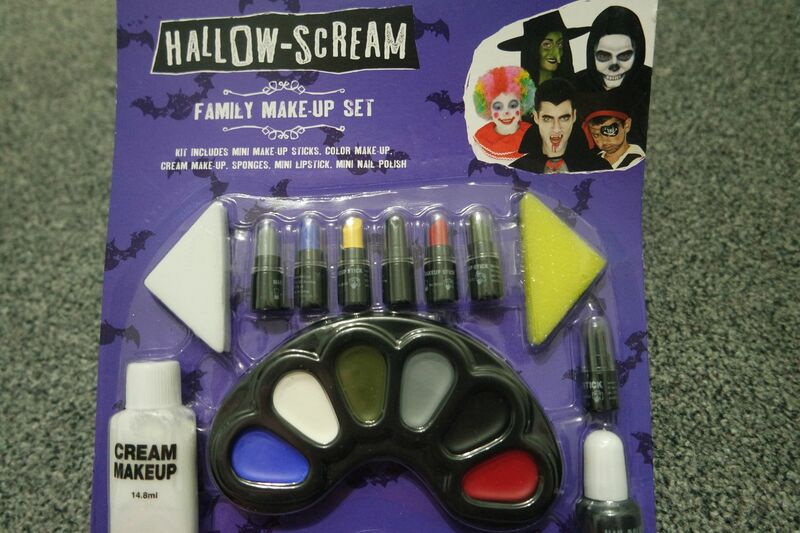 Hallow-scream make up set – great to either go for more dramatic make up or to completely change your face if you are going in fancy dress. Everything you need and lots of colours to use. 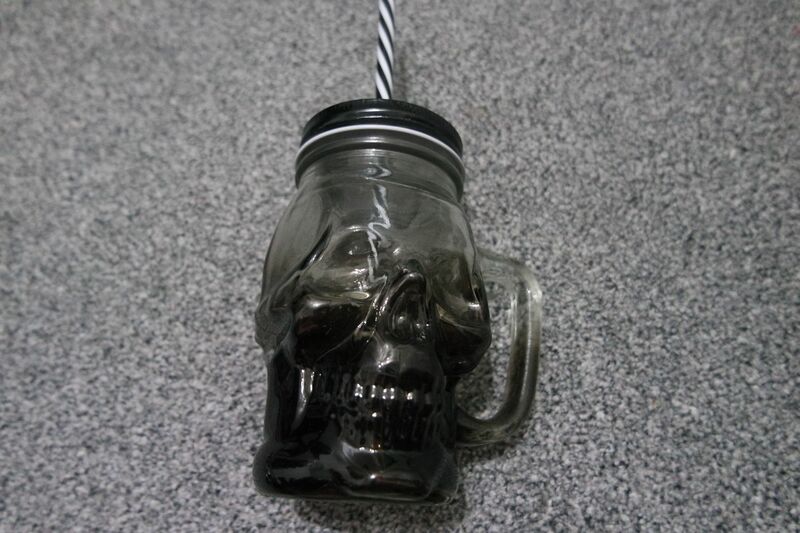 Skull glass and straw – I plan to use this all year round, I love anything with skulls on so halloween items are great! 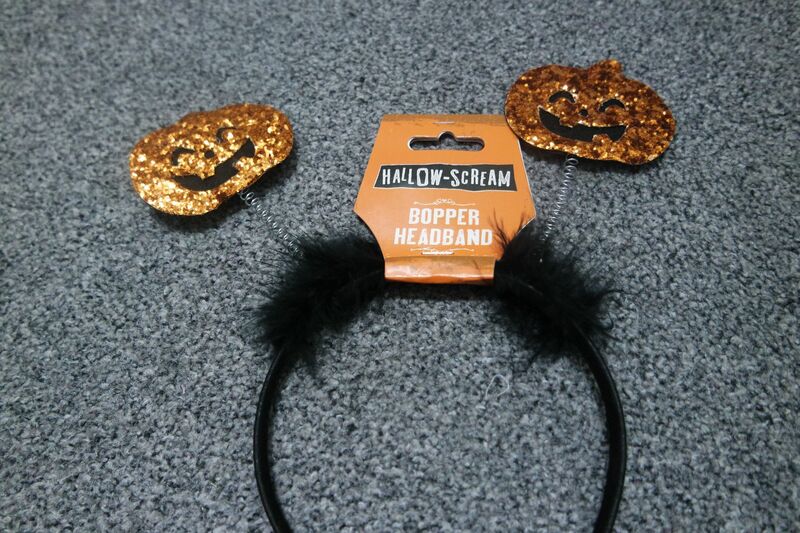 Bopper headband – a simple but effective addition to your everyday outfit. Maybe you are working on halloween and cannot go as fancy dress but you can get away with this headband?! 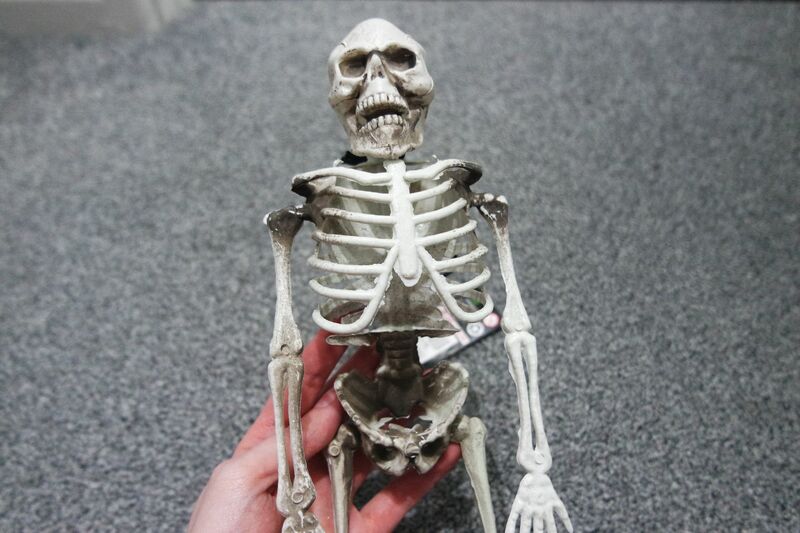 Hanging skeleton – not too sure where I plan to hang this, but again, pretty sure it will stay up far past halloween…. 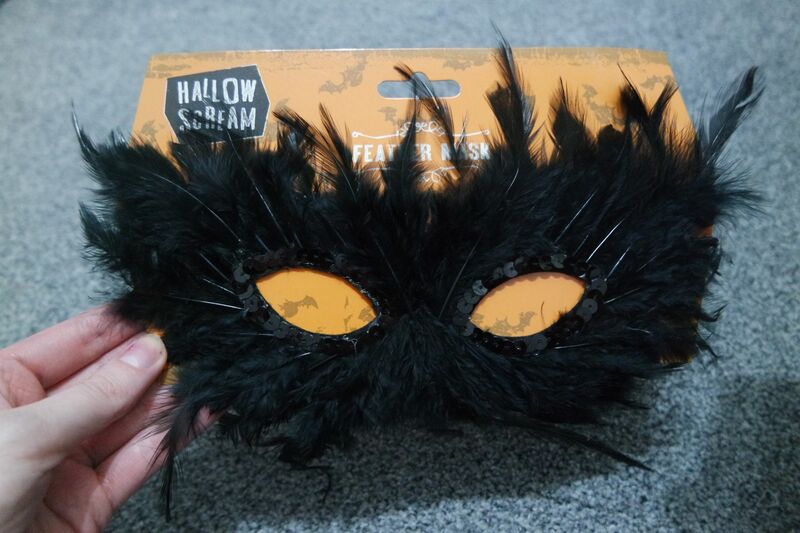 Feather mask – great addition, like the headband, if you are wearing normal clothing. 3 metre bunting – who can go wrong with bunting, I plan to put this up around the ceiling in my living room. 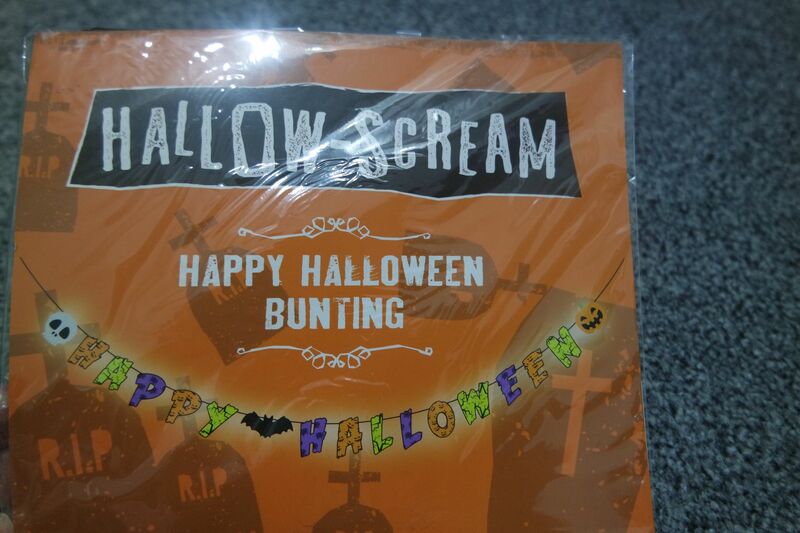 Happy halloween bunting – more bunting! This would be great in the conservatory. 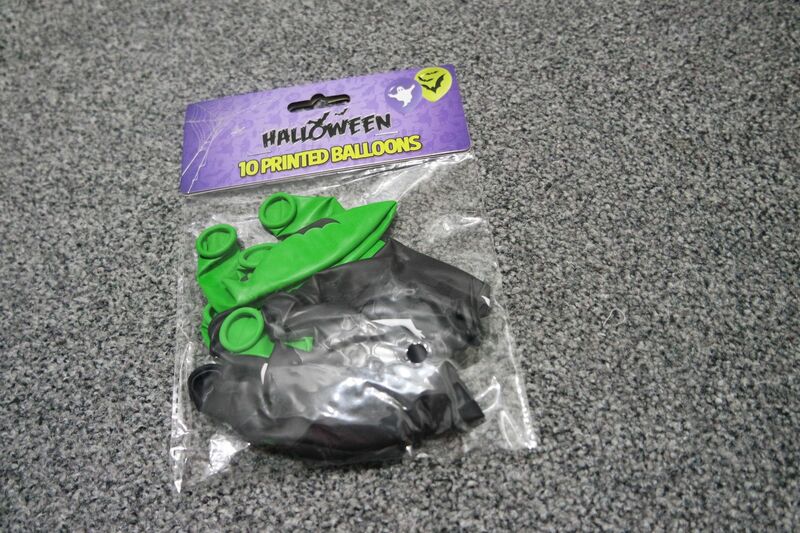 10 printed balloons – if you are having a party then balloons are a must have! Window decoration – I am not sure if i want to put this on the living room window for the neighbours to see or maybe in our conservatory. 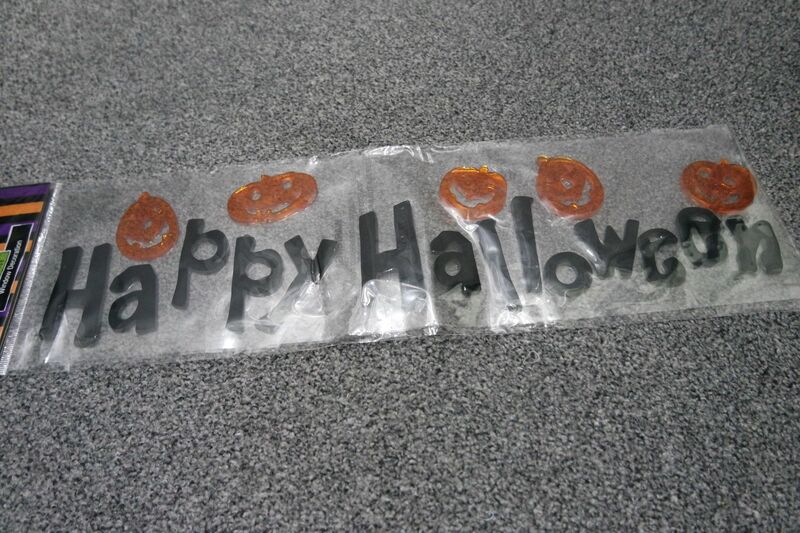 They stick easy to glass and the little pumpkins are cute. I was just in Home Bargains the other day looking at their Halloween section and I was more than impressed at the decorations and their costumes. I wish I was going to a Halloween party so I could dress up! Ahh I love all the decorations that you picked up! 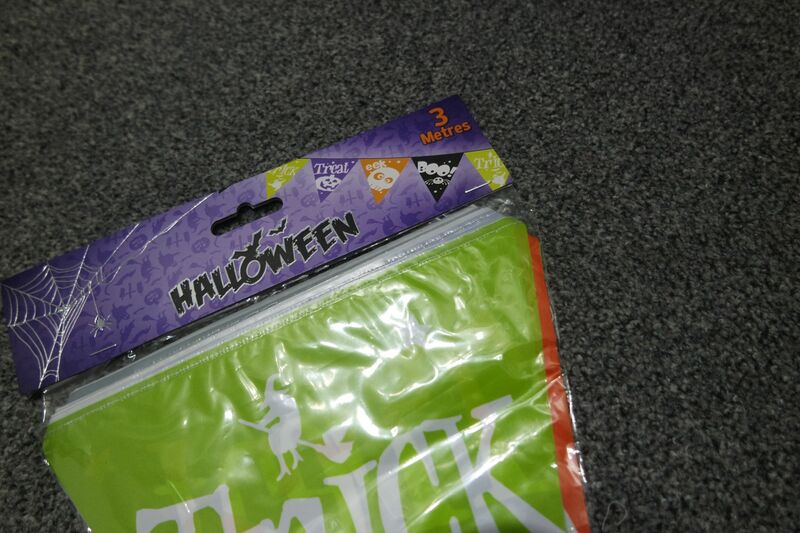 Don’t think I’ve ever been in home bargains but I know they’re great for Halloween and Christmas supplies! I love the mask and the skull jar! 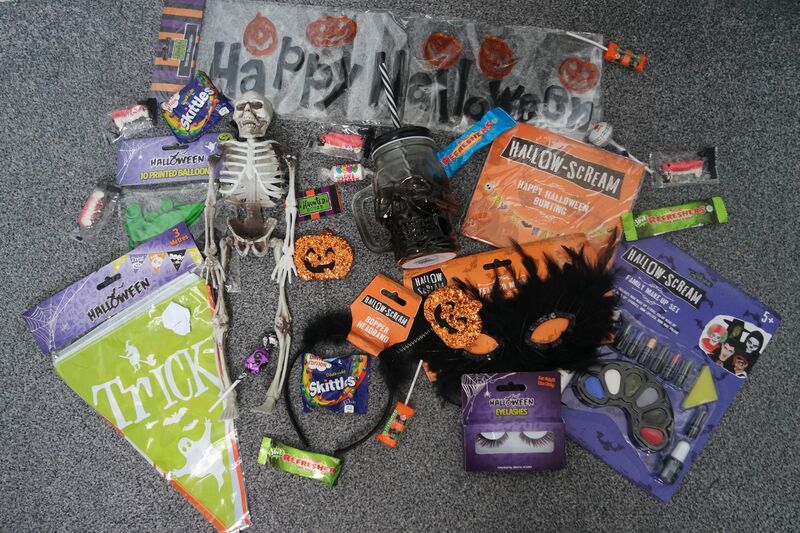 oh, ive got loads of things to get in for halloween I might have to have a trip here! wow! some really nice bits, i really like the skull glass mug !!! I love b&ms for seasonal pieces. I love Home Bargains for stuff like this! ooh you picked up some amazing bits!! They have some fab stuff in especially if you were having a party!